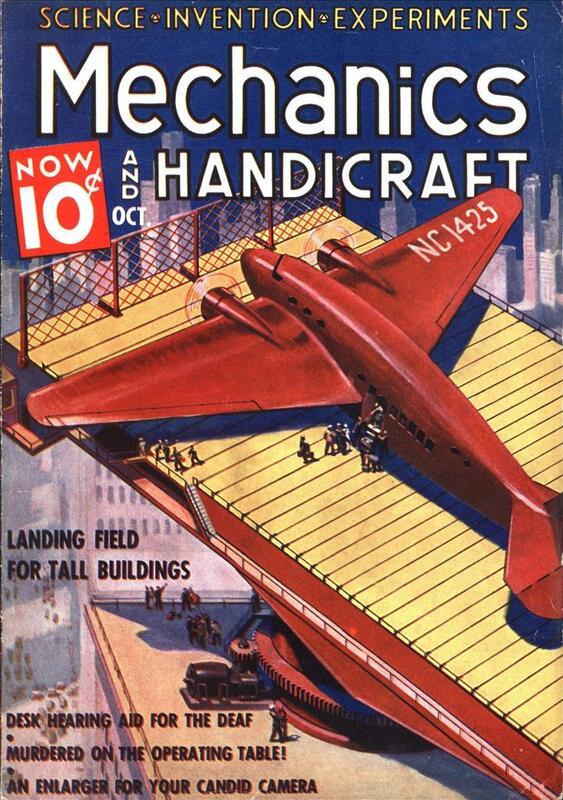 The body of the 8-foot vehicle is formed from the reversed tail of an airplane. A rubber-tired airplane dolly provides the rear wheels. A single bicycle wheel, mounted to run in reverse, is used in front. In place of the conventional steering mechanism, a joy stick is used. A one-place cockpit for the driver is built into the fuselage. An old 2-cylinder airplane motor and a small aluminum propeller are mounted directly behind the driver, and the spinning blade is covered by screening during operation. For winter use, skis will replace the wheels. Oh, well, the prop is covered by screening during operation. That’s a relief — until I read that, I thought this was INSANELY DANGEROUS. Unless, of course, the screening contacts the spinning prop and is ripped loose, and turned into a whirling steel flail. Nope, still insanely dangerous. Just looking at thing scares the crap outta me. 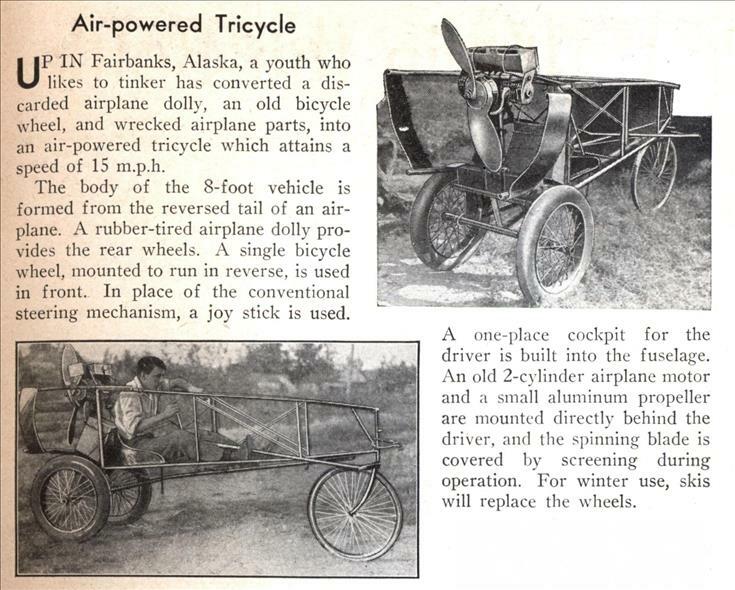 And makes me a little jealous of living in an era when old airplane parts are apparently just lyin’ around for enterprising kids to tinker with.